Field number VZ267 (Collector: Johan de Vries, Elisabeth van Zomeren) km 8, Azurduy to La Angostura, altitude 2460m. Origin and Habitat: Azurduy to La Angostura, Bolivia. Altitude range: Around 2350-2450 metres above sea level. Description: Aylostera azurduyensis is a local or morphological form of the widespread and very variable Rebutia fiebrigii. 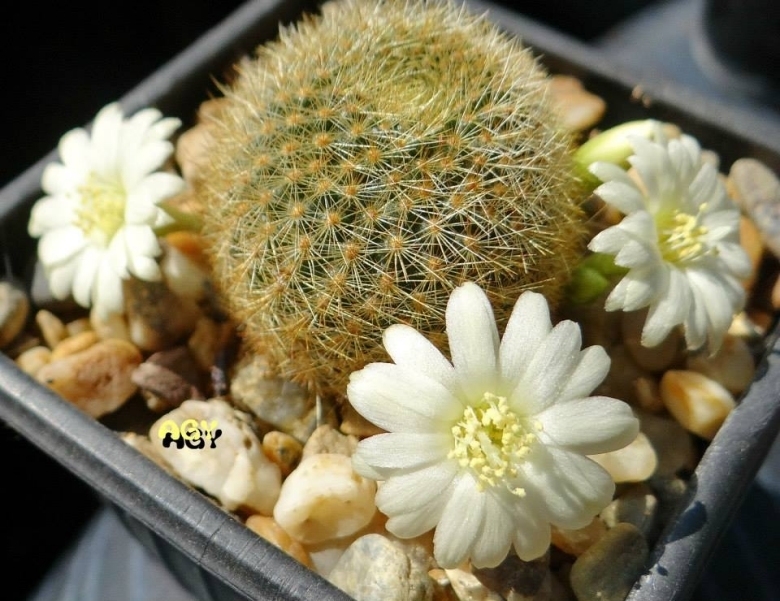 It is a small mound-forming cactus with yellowish to brownish, silky, short spines and peculiar white blooms. However the distinguishing characteristics of Aylostera azurduyensis, appear to fall within the natural variation of Aylostera azurduyensis and it should be synonymized with the latter.